This weekend we invite you to dance and sweat with electronica producer Niilas from 6pm-8pm on Saturday! On Sunday we take it down a notch and have our sauna calm and cozy for you to recover after dancing through the night. 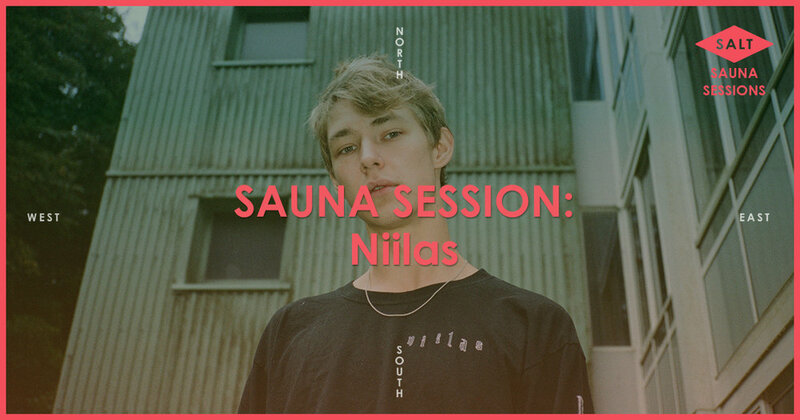 Niilas has recieved lots of praise for his music and last year he released his first full EP "Naste". He's still pursuing his charcteristic melancholic sound, but has at the same time made his music more available to a bigger audience. Bergens Tidende has referred to him as "Vibbefanger's biggest ace" and there's no doubt he's a producer to keep an eye on. He’ll play an excillirating DJ-set this Saturday! Bring your own towel and padlock or rent it in the bar for 50,- each. Bathing suits are required in the sauna and we recommend you bring your own flip-flops since the floor can be hot. Please note that you're not allowed to bring your own alcohol.